Econ Refuse Service, LLC is a local family-owned and operated trash removal company. Our rapidly growing company offers old-fashioned customer service combined with the convenience of the latest in rolling carts for easy trash removal. 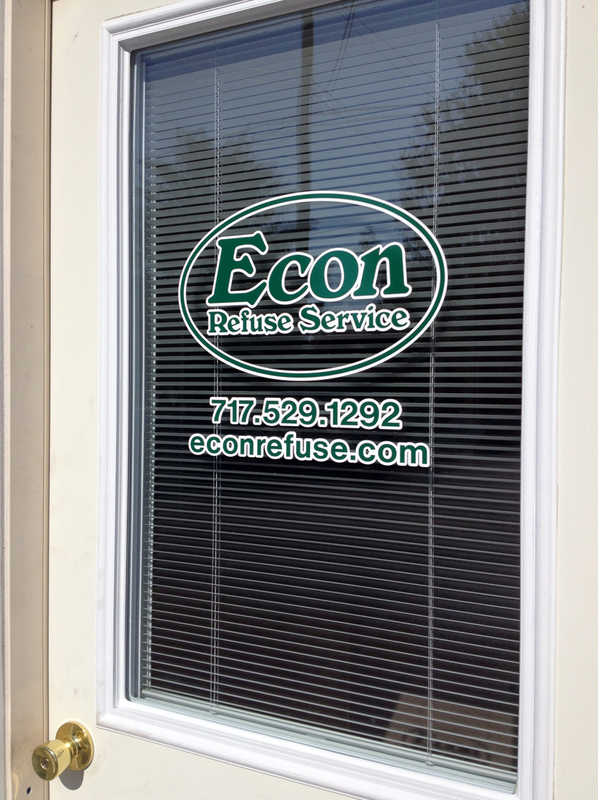 We are fully licensed and insured in Lancaster County. Our competitive rates give everyone another choice in trash removal. As an independently owned company we can control our overhead without sacrificing customer service. We respect your property. Trash cans are emptied and left standing upright with closed lids – out of the way! During weather emergencies trash will be picked up as soon as it is safely possible. Customers who cannot roll the cart to the curb can call us and ask about our no charge “door to truck” policy. Tell your friends, family & neighbors: If service matters and price counts – Call Econ!